"Serving Oregon & Washington Since 1980"
Need a Plumber or Contractor? 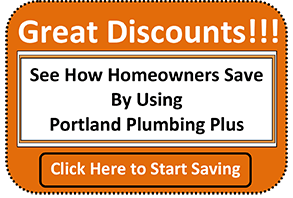 Portland Plumbing Plus is your best Portland Oregon plumbing and construction services company serving Oregon and Washington. We offer affordable rates in both residential and commercial projects and we specialize in top quality repairs, replacement, remodel and new installation of plumbing and heating systems, gas pipe systems, water lines, sewer lines, drainage systems, irrigation systems, sewer systems, sprinkler systems, water heater sales and installation or repair. Our services include but not limited to plumbing repair, new plumbing construction, plumbing remodel, plumbing addition, water heater installation and repair including electric or gas tankless water heaters, electric or gas tank water heaters, gas piping, gas line installation, gas line repair, converting electric appliances/systems to gas, converting gas appliances/systems to electric, gas line extension, plumbing repipe, whole house repipe, water line installation and repair, sprinkler system installation, sprinkler system repair, drain cleaning services, hydro jetting, water leak detection and repair, gas leak detection and repair, sewer video inspection/sewer scope, sewer line installation, sewer line repair, sewer service, underground pipe locating, utility locating, repair and restoration of damage caused by water, flood or sewage backup, home improvement and other construction services. Our 24 hour plumbers, plumbing contractors and construction technicians are always ready for instant emergency response any where within our Oregon or Washington service locations. You can never go wrong with choosing a Portland plumber and construction contractor that works hard day and night to give you 100% satisfaction. If you are looking for dependable and affordable Portland plumbers and contractors for quality work and fair costs we are your best choice. We are licensed, bonded and insured in Oregon and Washington, and serve both states. Find our current plumbing coupons and discounts to help you save on plumbing and home improvement costs all year round. Contact us now to schedule an appointment for instant emergency service or book an appointment to have our plumbers or contractors work for you at your convenient time. Search Portland Plumbing Plus to connect with us and follow our updates, news or events on Google, Twitter and Facebook. To Portland Plumbing Plus: I just wanted to tell you that Scotty did one hell of a job today at my home. He diagnosed my water leak within minutes and fixed what I thought would be a costly plumbing job and finished the water leak at the shut off value and replaced an outdoor faucet back deck that has not worked for awhile. He works fast and is very efficient in preparing the repair. I am in sales and I want to tell you he was honest, very knowledgeable and worked hard to fix my issue. I was also ecstatic the cost of the repair was super reasonable from my initial thought. You have a terrific employee. Thank You! I been dealing with a recurring drain back up in my basement and any time I do laundry it became excessive with sewer smell. I called in a plumber and paid $280 only for him to snake out and flush the sewer line. I got a two months warranty from the plumber as if he knew what he did would last only 2 months. My basement drain started backing up again and when I called the plumber he told me my warranty is up by one week and the drain pipes needed to be dug out and replaced to fix the problem again. I was going to pay him another $3,600 to have the drain pipe dug up and replaced if I didnt find P3. Bob came and looked at the problem same day I called him. He was on his way to a job and stopped by quickly. Then he told me he would be there next morning to fully assess the problem. He came as he promised and located the cause of the back up on my roof. He ran his cable on the roof pipes and that solved the problem. 5 months on and I dont see any water coming out my floor drain when I do laundry. Bob is professional and affordable. You will get more than quality services as our plumber and contractor will go the extra miles to show you some basic tips for home maintenance. Call now with any questions and specific requests to get free estimates and quality services. Join our happy customers today to enjoy a wide range of clients benefits as our team of experienced Portland Oregon plumbers and contractors provide you top-notch 24 hour plumbing and construction services in Portland, Beaverton, Clackamas, Milwaukie, Troutdale, Gresham, Maywood Park, Tualatin, Lake Oswego, Wilsonville, Hillsboro, Wood Village, Gladstone, Oregon City, Vancouver WA, Battleground WA, Camas Washington, West Linn, Fairview, Aloha, Wood Village, Tigard, Damascus, Happy Valley, Sherwood, Oatfield and many more cities in Oregon and Washington listed on our service areas page. When you need affordable residential and commercial plumber or contractor, contact your No 1 local Portland Oregon plumber and construction contractor - Portland Plumbing Plus, here to serve you. Local Portland Plumbers Plumbing Contractors Southwest SW, Northwest NW, Southeast SE, East E, North N, Northeast NE Portland OR. Trust we have a service technician and plumbing contractor in your area. Find a good plumber near Portland, OR 97201 • 97202 • 97203 • 97204 97205 • 97206 • 97207 • 97208 • 97209 • 97015 • 97210 • 97211 • 97212 • 97213 • 97214 •97215 • 97216 • 97217 • 97218 • 97219 • 97220 • 97221 • 97222 • 97223 • 97224 • 97225 • 97227 • 97228 • 97229 • 97230 • 97231 • 97232 • 97233 • 97236 • 97238 • 97240 • 97242 • 97251 • 97253 • 97254 • 97255 • 97256 • 97258 • 97259 • Portland, OR 97266 • 97267 • 97268 • 97269 • 97271 • 97272 • 97280 • 97281 • 97282 • 97283 • 97286 • 97290 • 97291 • 97292 • 97293 • 97294 • 97296 • 97298 • 97299 zip codes. Visit our service areas page for other Oregon cities and locations we operate in. We install, replace, service and repair these brands and systems: Rheem, A.O. Smith, Bradford White, Moen, Delta, Utica, Carrier, York, Trane, Lennox, American Standard, Grohe, Toto, Kohler, Rinnai, Bosch etc; gas tankless water heaters, electric tankless water heaters, gas water heaters(tank), electric water heaters(tank), water softners including fully automatic water softners, bath tubs, showers, toilets, sinks, faucets, garbage disposals, hose bibs, ice makers, refrigerators, grease traps/grease interceptors, back water valves, backflow preventers, dish washers, stoves, ranges, clothes washers/laundry, clothes dryers and much more. Can winter freeze and burst my copper water pipe?